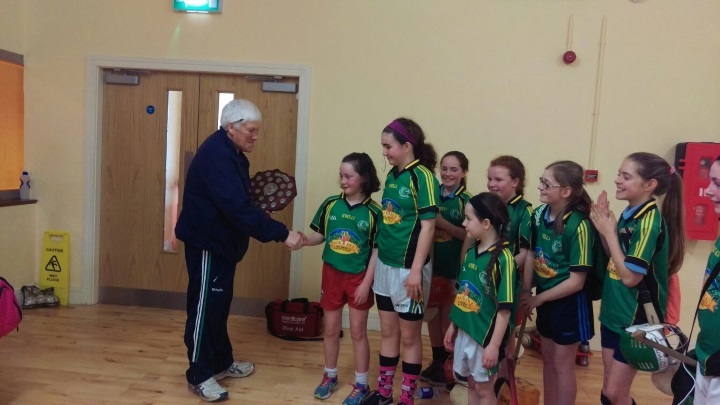 Congratulations to our girls who won the County Indoor final in Caherconlish on Thursday last. 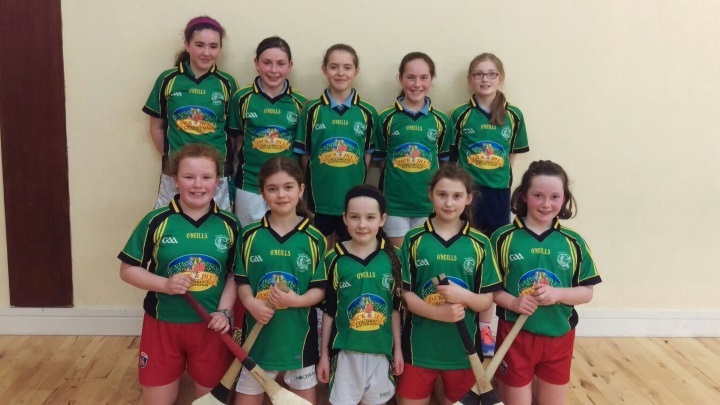 Indoor hurling and camogie is a very exciting competition and requires high levels of both speed and skill.The boys and girls learn a lot of the vital skills of ground hurling during the training for their blitz. Lisnagry National School has a great tradition in this competition and has had wonderful success throughout the years. 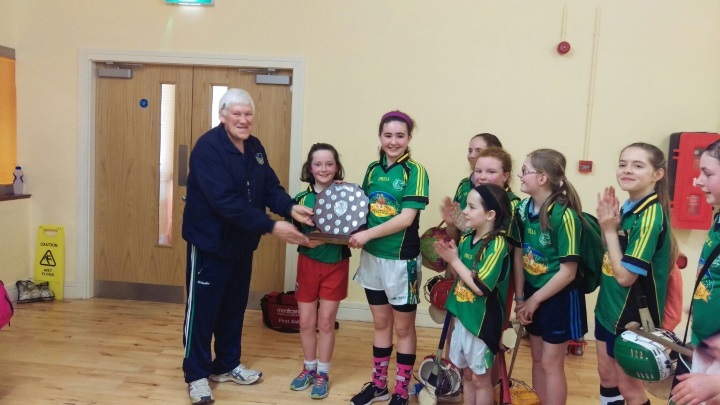 Our talented girls defeated the west champions Ballingarry N.S in their first match before overcoming Monaleen in the final. A special word of thanks to our teachers for all the coaching at lunch time and after school.We are very proud of their wonderful achievenent. Níl aon dabht ach go mbaineann siad taitneamh agus tairbhe nach beag astu.